To make sure you get the best deal we'll show you great prices from all of our drivers, including Pro Removals and Deliveries , if they're available on the day of your move. Have a question for Pro Removals and Deliveries ? No problem, send them a message and they'll email you back as soon as possible. If you have a more general question you might find it answered in the FAQ, or you always contact one of our brilliant customer service team. * Pro Removals and Deliveries won't be able to see your email address. Pro Removals is a privately owned company based in south west London offering removal services in everywhere in London and UK. It is a family owned business and is primarily setup for transporting and courier services, in addition we have great experience in house and office removals. Initially we were a small business handling mostly deliveries for commercial retailers, this involved mainly delivering to properties throughout the London and surrounding areas. On several occasions jobs have taken us to greater national and European destinations. As our experience and reputation grew we started to venture out into house/ office removals consisting of flats to large houses/offices. With our “Born ready” and positive attitude, we wish to broaden our client base so we can grow and expand into a business with a greater work force and a greater fleet of vehicles. We aim to achieve this by making a name for ourselves and turning SoFast Transport into a recognised brand. Our passion for providing customer service can only allow us to grow in experience and reputation. We look forward to attending to your transporting needs, meanwhile do please check what our clients say about us. The driver was a little late due to traffic at Blackwall tunnel but overall the service was excellent. I got a call from the company the day before the move, asking if there was any flexibility on the timing of my move. The caller seemed very disappointed that I was not able to be flexible. Next day, 40 mins before the van was due to arrive and I got another call and was told that another van was going to be sent because an earlier move had been delayed. This newly assigned van was 20 mins late in the end, which was OK. When the guys arrived they seemed very cheerful and helpful. However it became clear when they started moving the furniture that they were not taking sufficient care. The lead mover told me not to worry, they were professionals - but unfortunately I did not get this impression! They kept bumping into things, even when told to be careful. At one point, one of them dropped the drawer of an oak table, which he was carrying, onto the floor of the van. Because of this, I asked them, when emptying the van, to take the drawers out BEFORE moving the chests/tables with drawers in them. The guy who had dropped a drawer asked me why I wanted them to do this. I felt this was an unnecessary question. When they got to the other end they needed to be reminded more than once to remove the drawers before moving the furniture. On one occasion they were moving a piece of fine furniture. They removed the large drawers, stacking them carelessly on top of each other in the van. This meant that that they wobbled dangerously as the guys started shifting the chest out of the van. I had to tell them to stop and remove the drawers to a safe place first. Their refusal to take my requests to be more careful seriously was very unprofessional. One of them even thought it was funny to make a joke saying a large mirror had been cracked in the move, which would mean 7 years bad luck. I found this in very bad taste. On the positive side, they willingly moved a couple of pieces of furniture from our house to our garage, which was nice. Unfortunately I'm not able to recommend this service. These guys needed training in how to be respectful towards customers and their furniture. Excellent service. The guys were great. Many thanks. Fantastic guys, they helped me so much, really polite and respectful. Our drivers were courteous, prompt, helpful, and well prepared. Overall, an excellent experience! We would definitely hire them again in the future! Daniel and Mario were great. A few bumps and scrapes on a few pieces of furniture, but given the difficult of moving out of a fourth floor apartment, to be expected. Thanks for your efforts guys! The guys was great, so helpful and really friendly, got the job done in under the time I asked, can't thank then enough!!!! The guys that came to move our stuff were brilliant. Really helpful, polite and hard working. Really nice guys. Very helpful - very pleasant. Fantastic service - there were a lot of heavy items. They were vary patient as we identified more things to move, and stayed for an extra hour to finish the job. Polite, professional and very helpful, thank you. super hard working and friendly! The guys were briliant, very careful with everything, strategic in packing the van and container. Very trustworthy such that I could get on with other packing. Highly recommended. The guys were fast, efficient, friendly and hard working. They were excellent! Great service. Fast, efficient and very helpful. Thanks! We are sorry that the driver was this delayed to your booking. We do have a lateness refund policy which you will find attached to your email booking confirmation, from which you will see that you are due a partial refund for this. Fantastic guys, amazing service. Would recommend. Arrived early and the two gents were very helpful with moving boxes around to help everyone involved. Speedy work and unloaded quickly and carefully at the other end. This driver is a super hero. Super fast move of a 2 bed house in 2 hours. Thank you so much! Super, careful, patient and helpful. Great team, great service!!! 4 stars as 45 mins late due to staffing issues but otherwise an excellent service. 2 van loads from 2 different addresses. Driver and helper worked incredibly hard without a break. No hesitation in recommending. Top work. Friendly, careful and efficient. Would certainly use again. No words needed. Both the driver and the extra man were extremely nice ! and probably the most efficient movers i've ever seen ! Goes without saying, don't look any other places, if you are looking to move stuff and you need a luton truck, this is the right place for you ! Best and easiest move out/in i've done in my life ! Everything went really well. Really pleased with the service. I hired the service to help my 76-year-old mother move lots of heavy items. She was also very pleased! Very hard working driver and helper. Very polite and happy to stay extra to finish the job. We were very impressed with Emery & Cosmin and couldn't have managed our move in a timely manner without them. At one stage it did look like we wouldn't have enough space for all of our belongings, but somehow they managed to fit our furniture into the van like a 3D jigsaw without mishandling anything. Would definitely wholeheartedly recommend their services. Recommend them their way of packing was outstanding. The guys were absolutely brilliant! top guys and amazing work. Quick, understanding and all round experts. Good chat in the van as well enroute to the new location! Lovely guys who were extremely efficient. Romeo is absolutely on top of things. "So fast" removals lived up to their name here! He didn't take any initiative. Just only stood there and helped when we asked him to. Great chap, very fast and efficient. Brilliant service. Great guys, really efficient and took the stress away from moving home. Will definitely use again! Exceptionally hard working. Finished the job 90 minutes earlier than I initially estimated. Couldn't ask for better! The driver was so helpful and so careful with our stuff and the move just went so smoothly. We have used So Fast removals twice now and I can't recommend them enough. Steven was early, professional and couldn't be more helpful! Finished with loads of time to spare thanks to his professionalism. Would 100% use again and recommend to others. Great guys, did an amazing job with our house move. When we forgot something they even offered to go back and get it. Would definitely use this company again. Although they were running late they didn't rush us and made sure our job was done properly. Fantastic experience, very polite driver and helper and worked very hard to make our move a great one; were late but overall very good, will definitely recommend. Excellent. The driver and helper worked very hard to do the move. An extra confirmation email a couple days before would have been a useful extra to the service. The service was impeccable. Efficient, polite, accommodating. Would highly recommend this company and the driver was excellent. Absolutely recommend these guys, without hesitation. Polite, friendly, careful with our stuff and most importantly, on time. Thank you! Romeo was a legend! Really great chaps and hard working. Really good team and they were friendly, fast and efficient. The guys were absolutely fantastic. Took care of all items hence no damage caused to the property and were extremely friendly. Got everything into the van and drove with very responsibly as well. Would highly recommed this company's service. great service and crew. Thanks! Really excellent service. Friendly and professional. The movers were wonderful. My only issue is with the Comparethemanandthevan company as I believe I ordered a larger truck. In the end, we had to make an extra trip and it cost me an incremental £120. We are sorry you were left dissatisfied with the service you received. We can see that you booked a Giant Luton van and were supplied with a Giant Luton van. This is the largest van we supply. Very good service. Driver arrived early and sorted everything out, was knowledgeable and worked hard to move everything. Would definitely use again and recommend to others. Very helpful, quick (finished 30 mins early!) and exactly what we wanted from a removal service. They didn't break anything, but they did not listen when I told them not to take something as I was still packing it up. They ended up putting my bag with my keys, purse and phone in the van by mistake and I had to run out and get it back, or I would've been stranded in an empty flat and no way of contacting them. The guys were so helpful, our sofa wouldn't fit in the lift so they kindly carried it up 9 flights of stairs for us! I would definitely recommend and of course use them again in future. Thank you very much to the two chaps from sofast removals who made my move the easiest I have had by far! They were were conscientious and careful with every item and made the experience a less stressful one! Incredible moving service! They were early and did not stop lifting and packing the whole time they were with us. They were polite, careful and so hard working. Nothing was too much trouble. The cost was great too. I was confident from the moment I booked as they gave me such great packing advice and were able to offer crates which I would totally advise for anything you know you will be unpacking straight away and that is too heavy for a box. Shrink wrap around drawers rather than boxing up each one was a great time saver. Give each room a colour and stick an A4 sheet of coloured paper on each box/crate. Then stick the same colour on each door so they know where they are going and you dont have to direct each box around the house. They went above all expectations. Great work by all. They even supplied an extra Luton van the day before when we realised how much we had to move! Just brilliant. Thank you Would totally recommend. We had 2 guys helping us and they were fantastic, arrived early, very nice polite and got the job done amazingly quick. Nothing damaged all very carefully handled. Highly recommend. I was very nervous about my move being a single parent but your men were great , ..... they did everything , I would recommend them 2 anyone ..... fantastic service !!!!! Super move - no problems - in spite of my short notice and a very awkward piece of furniture to move. Thank you. Both the driver and his colleague were friendly, considerate and hard-working. Great service, very helpful and very good at his job. Would highly recommend and use sofast removals again. Very helpful driver. Really went the extra mile in helping get the sofa into the house. Excellent and professional service. Drivers were very nice, courteous and mindful for the fragile items as instructed. Moved a piano - difficult item to move. Took a lot of care and mad effort to position in just the right place in my room. Not just on time, he was a bit early, which was great for me. Very helpful, friendly and accommodating, couldn't ask for more. I think it's a shame that literally the night before my van I selected was changed, this was really unnerving as I'm moving house which was very stressful and I'm sure I could have been made aware of this earlier. Our driver was apologetic when late, but he more than made up for being late. Nick was very efficient, quick and handled all my things very carefully. He was great! Couldn't fault him at all and I haven't found a single broken thing. He even fixed my sofa back together for me! Overall really happy, wish I'd picked this van service to begin with. 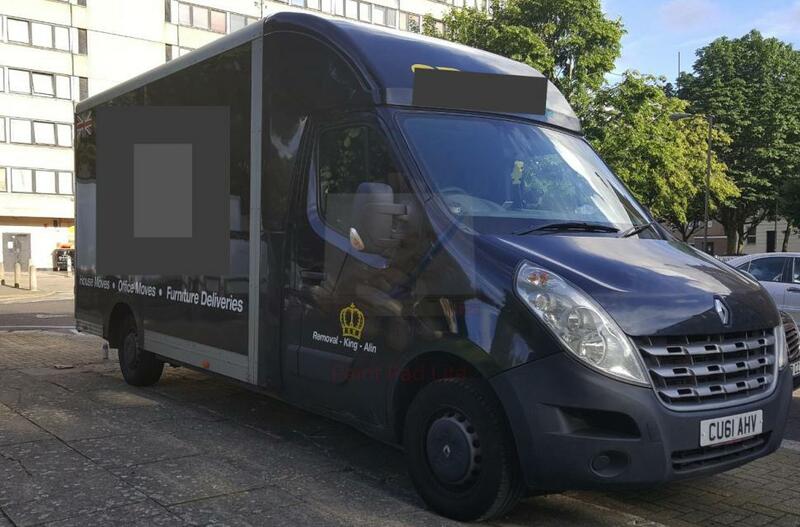 CMV Response: We are very sorry that your original driver was unable to undertake your booking Eleanor, unfortunately he reported his van had broken down so we really didn't have earlier notice of this and it was never a case of your driver just being changed, he simply could not attend. We are pleased, however, that you were happy with your replacement driver. We know that moving is stressful, but unlike other websites, we always guarantee that you will receive a van for your move, so you are not let down on the day. They were fantastic and did a great job. Drivers were so polite and helpful! Could not have asked for better! Thank you so much!!! Made a very stressful time quite easy! The van broke down right at the end. Flat battery. We managed to jump it but the van shouldn't have been sent out with such a poor battery. It could really have caused problems. Great service from the guys. Turned up on time and quickly got my large sofa onboard and safely delivered to its destination. Absolutely brilliant move! They made the whole thing much less stressful, and really carefully looked after my belongings. Would 100% recommend! Very polite team, worked fast and efficiently, managed to get my very large three seater sofa in though a really awkward space. Would recomend them to anyone. Arrived on time and job completed quickly with no fuss . Would recommend . Really good move. Driver on time, focused to finish the job on time and to a high standard. Was informed the driver was running late by one hour at 3pm (we had booked for 4pm). This was fine, we replanned for 5pm. However we were then contacted by the driver to say he had made up the time and would arrive as planned. In the end he arrived at 4.20pm and because of all the confusion we were not fully ready. Would have been better if the driver had stuck to the first time we were told (5pm) instead of changing it repeatedly. He was absolutely brilliant. Arrived early, couldn't have been more helpful and it went so smoothly! We booked the van for 5 hours and it went so well we were done in 2 hours! Absolutely brilliant, highly recommended! Driver and helper were brilliant, very professional. Our only issue was that out of the �90 we paid, �30 went to comparethemanandvan.co.uk and only �60 to the moving company themselves-we found this out afterwards and are still not sure why we had to pay so much to the booking company. Recommend going direct to these guys. CMV RESPONSE: Compare the Man and Van spend 70% of every booking fee on advertising for more work for the drivers. Our margin is very low which makes us the preferred choice for drivers who choose to work from a booking platform. Fantastic! I moved a couch from a friends house to mine! The most seemless process I've come across in a LONG time. Wish all services were as accommodating Thank you. Nice guys. They was working fast,. We would recommend Fast Move to everyone. Amazing movers. Very polite and hardworking. And very accommodating with how unusual and difficult our move turned out to be. Excellent service, looking to use them again soon! outstanding. Both guys really careful of our stuff; helpful, friendly. Just perfect. Fantastic & reliable servicevthank to you all. They arrived on time and were really helpful with solutions to move furniture. Jon was very helpful and although we loaded/unloaded ourselves he was kind enough to offer us use of trolley, slide and straps.